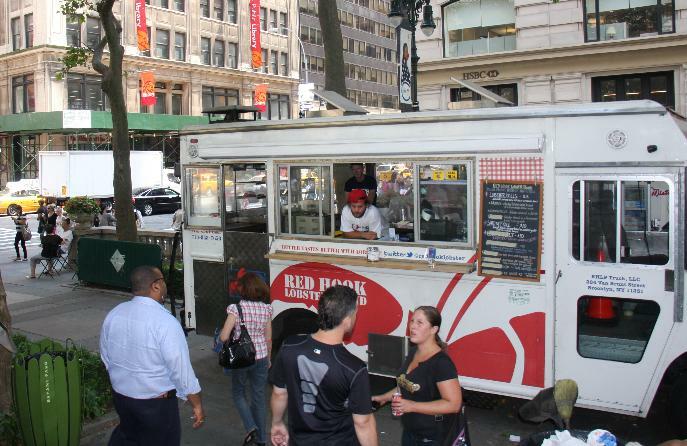 This summer, Bryant Park Corporation invited some of NYC’s finest food trucks to set up shop at the southern edge of the Fifth Avenue Plaza in front of the main branch of the New York Public Library. 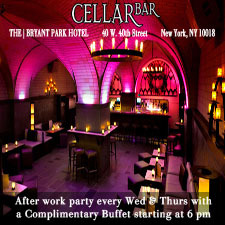 This special series was timed to complement a fascinating free exhibit at the NYPL called ‘Lunch Hour NYC’. 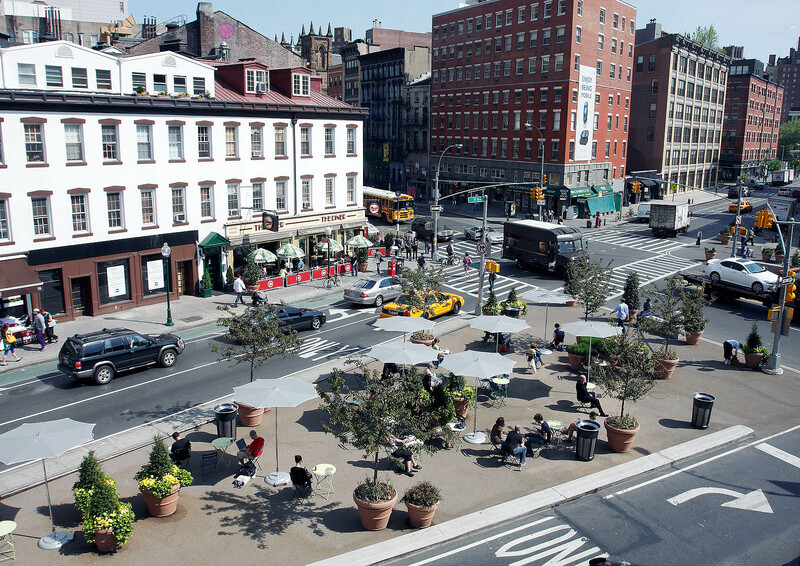 The exhibit drew attention from the NY Times, which published this article about it. We are pleased to announce that the food truck program has been extended through October. It had been scheduled to wrap up on September 4, but now you’ll have some more time to sample some of NYC’s tastiest street foods. The Lunch Truck program has featured many excellent vendors, and the current lineup includes Mexicue on Mondays, Milk Truck on Tuesdays, Red Hook Lobster Pound on Wednesdays, the Rickshaw Dumpling Truck on Thursdays, and Eddie’s Pizza Truck on Fridays. Their hours of operation are 11:00am-3:00pm. Keep an eye on the space, because we’ll keep things interesting in September by introducing new trucks to the lineup. The economic health of the 34th Street District has been on an upswing for twenty years now, and a look at some recent press coverage indicates that some of the District’s most iconic buildings are joining in the general success. Anchoring the west side of the District, Madison Square Garden is in the midst of a $980 million renovation. As this article in Crain’s New York Business indicates, the renovation is on schedule and going well as MSG officials showed off Phase Two of the project, which brought the arena’s upper bowl closer to the floor and made way for an expanded concourse that will feature food spots from superstar restaurateurs Jean-Georges Vongerichten, Drew Nieporent, and Andrew Carmellini. 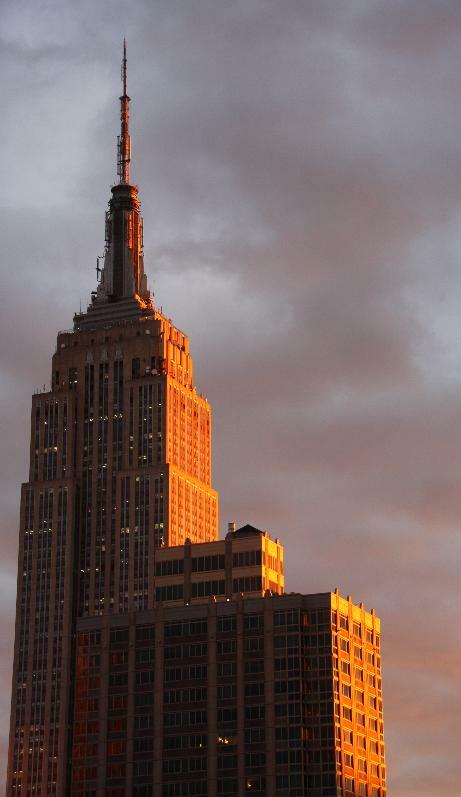 On the District’s eastern flank, the Empire State Building recently completed a $550 million upgrade. As the Wall Street Journal blog reported, the upgrade attracted two prestigious tenants – Swedish construction firm Skanska and Air China. The article also cites that the building’s income is expected to double within four years and to triple by 2026, according to projections and analysis conducted by Duff and Phelps. This September, get ready to kick up a storm at Bryant Park because The Southwest Porch is hosting the biggest hoedown midtown has ever seen. Bryant Park Square Dance takes over the park for three consecutive Mondays beginning September 10. There’ll be live music by The Remedies, free dance instruction all evening, and expert calling by Dave Harvey of NYC Barn Dance. ’wichcraft will offer up some down-home cooking, and Southwest Airlines will raffle off free tickets. It’s going to be a hoot, so dust off your chaps and cowboy boots and get yourself to the Porch. 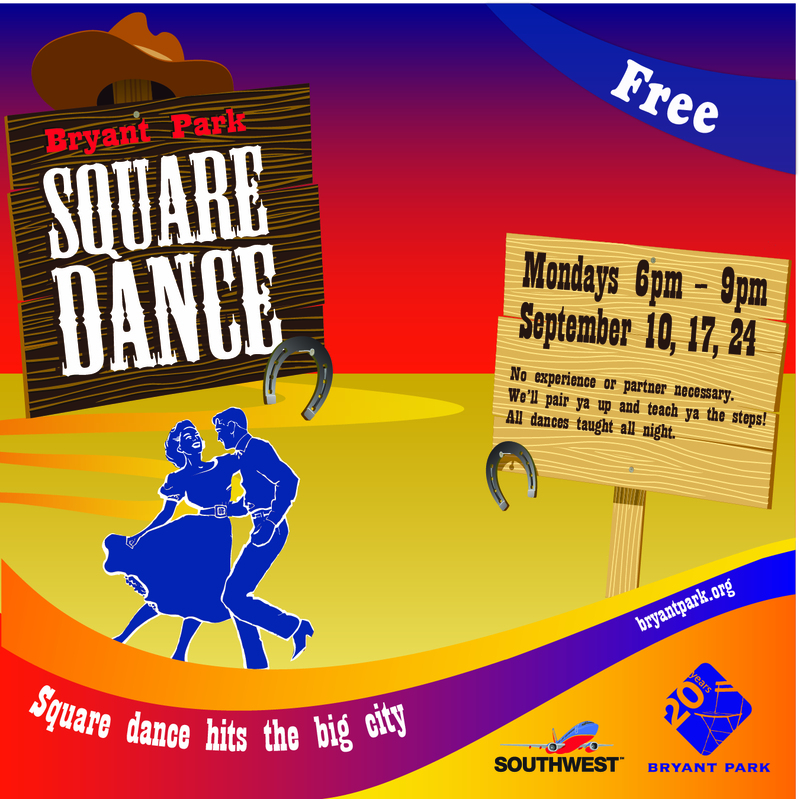 Bryant Park Square Dance is on September 10, 17, and 24 from 6:00-9:00pm. Last week, NYC Commissioner of Parks and Recreation Adrian Benepe stepped down after ten years in the position. 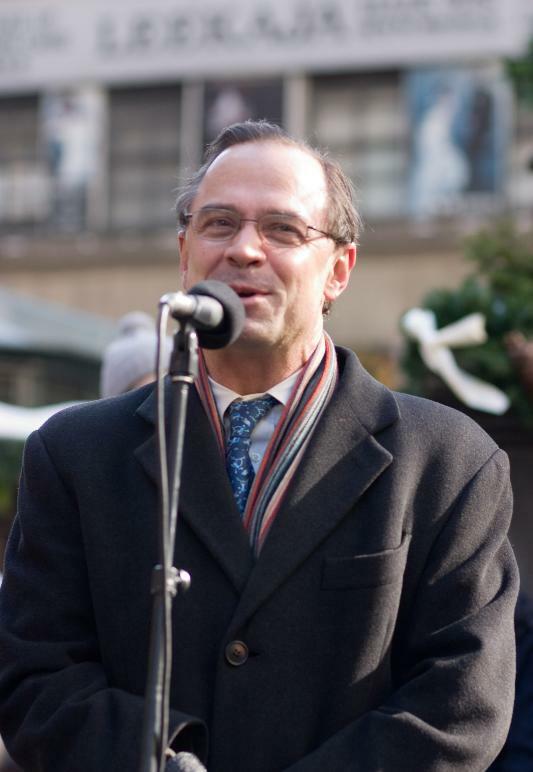 We at Bryant Park Corporation offer a fond farewell to Mr. Benepe, who leaves city government to assume the position of Senior Vice President of The Trust for Public Land. During his tenure as Parks Commissioner, Mr. Benepe was a tireless and enthusiastic advocate for NYC’s parks. He has an exceptional business mind, and applied it to our efforts. He was also a welcome presence at many ceremonies at our own public spaces, such as when he spoke at the celebration of Horace Greeley’s birthday. Though we are sad he’s leaving, we wish him well. We also welcome Veronica White as the new commissioner. Ms. White brings a wealth of experience to her new post. In 2006, she founded the City’s Center for Economic Opportunity and held the position of Executive Director. As Parks Commissioner, she becomes an Ex-Officio member of the Bryant Park Corporation Board of Directors. We offer her a hearty welcome and look forward to working with her. 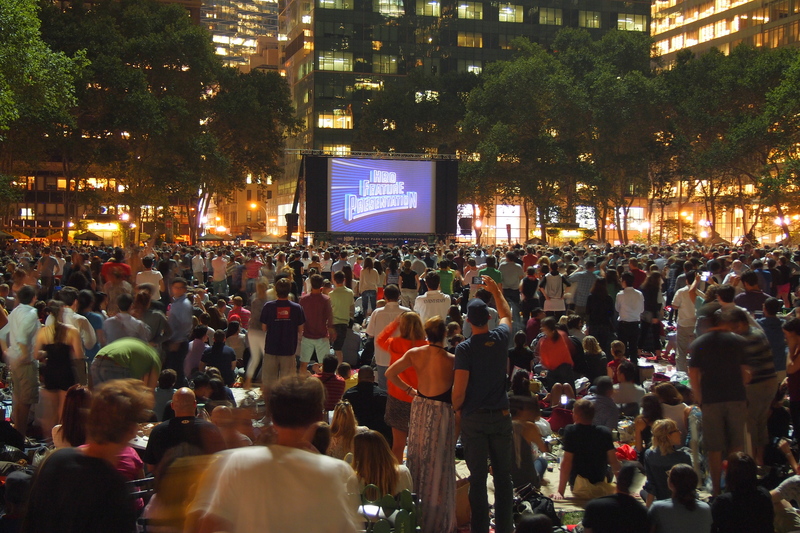 The 20th anniversary season of the HBO Bryant Park Summer Film Festival, now with Pepsi, was a great success. Nine films that had been previously screened in the park were shown, and, for a season capper, we served up the Steven Spielberg blockbuster Raiders of the Lost Ark for the first time ever. The day was hot (94 degrees), but that didn’t deter folks from coming to see Harrison Ford and Karen Allen ward off all those bad guys. The crowds, festive as usual, complete with picnics, friends, and excitement, patiently lined up at the two entry points into the lawn area. Folks just kept flowing in until, at the time the screen lit up, there were more than 10,000 viewers looking on. What a wonderful night. Those folks ate delicious food, chatted with neighbors, sampled Pepsi products, performed the HBO Dance, and then enjoyed the non-stop action adventure. It was simply a perfect way to end the season. 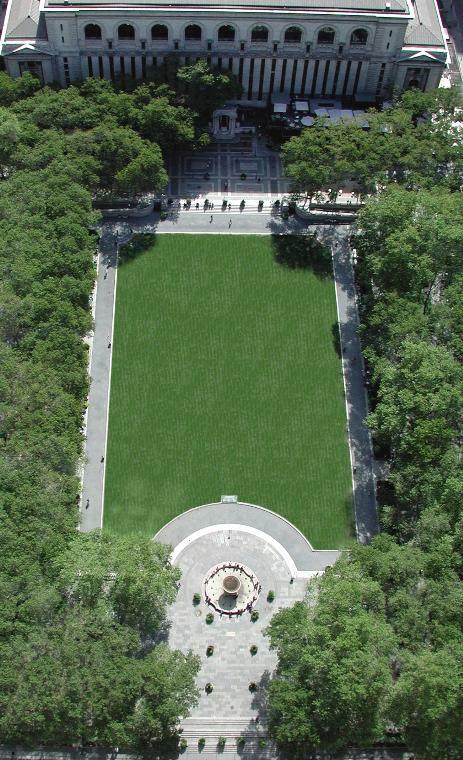 August 30 marked the 100th day that the Bryant Park lawn was open to the public. For comparison, last year we hit the hundred-day mark on September 25. To say the least, we are very pleased with the performance and resilience of our lawn during such a hot summer.